Having been dubbed “Hollywood North,” it's probably not news to you that there is a lot of filming in Vancouver. Movies such as Deadpool and Twilight, and TV shows like Riverdale, Supernatural and the original 21 Jump Street (with young Johnny Depp) have all used Vancouver as their backdrop. 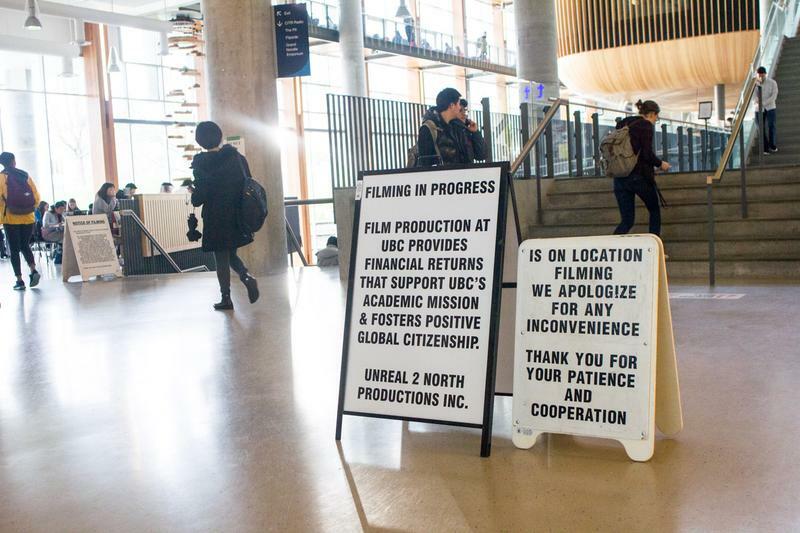 UBC's campus has also taken part and served as the setting for movies and television, even posing as other real and fictional universities. Unfortunately, UBC has never portrayed itself on the silver screen but there’s still time – we’re holding out hope for a Trudeau biopic. Here are some noteworthy films where UBC has tried on its acting skills and posed as another university for the big screen. In the first installment of the romance trilogy, there is a scene where the main character, Anastasia Steele, graduates from Washington State University. The university on screen though is actually UBC thanks to a few Washington State banners on Main Mall. Christian Grey also delivers his convocation speech at the Chan Centre. Who ever thought graduation ceremonies could be filled with so much sexual tension? In this Superman origin story Clark Kent attends the University of Kansas. Portraying the prairies may be a far stretch for mountainous British Columbia, but with the sign outside Koerner library and the right camera angle, who could ever tell you aren’t, and never were, in Kansas anymore. In this time-travelling thriller, the university scenes are shot on UBC campus in the most generic university areas to become this unnamed university. You can recognize the main character, Evan Treborn, biking down main mall and sitting in the rose garden. Lord Byng Secondary may be the high school of choice for exterior shots in shows such as Riverdale, Pretty Little Liars and X-Men Origins: Wolverine – but for the teen rom-com, She’s The Man, UBC also got involved and Thunderbird Stadium became the Illyria Preparatory soccer fields.